Child prodigy Melodie Aviles is a Hispanic fine art artist who is quick to say, "I have autism but autism does not have me." Born in Orlando, Florida, the Aviles family noticed her having a seizure, and regressive speech. At two years old, the autism diagnosis was difficult and the outlook was grim. The Aviles family gave up everything to invest into the best care for her. Through years of therapy, training, and family love, she surpassed all expectations. Much of Aviles’ success with the disorder has now been attributed to the extensive use of visual art as a form of therapy. Aviles trained at the The Tridas Center (Tampa FL), Dr. Nancy Carnevale, Ace Charter School (Lakeland FL), Beckman & Associates (Maitland FL) and The Hyder Gallery Center for Fine Art (Lake Mary, Florida). Aviles was particularly inspired by world class animators and was captivated by the story of Stephen Wiltshire who astonished the world with his art in spite of his challenges with autism. At twelve years of age, Aviles knows that she is different and copes with her challenges with the most inspiring fine art. Now collected throughout the world, Aviles’ work intentionally represents the emotions of her characters through their large animated style eyes. Aviles’ work has become very popular due to their availability through limited editions, gallery representation, and a groundswell of support via social media. Aviles understands that autistic people are usually misunderstood and she wants to make sure that those who experience her art know exactly how her spirited characters feel - through the eyes. 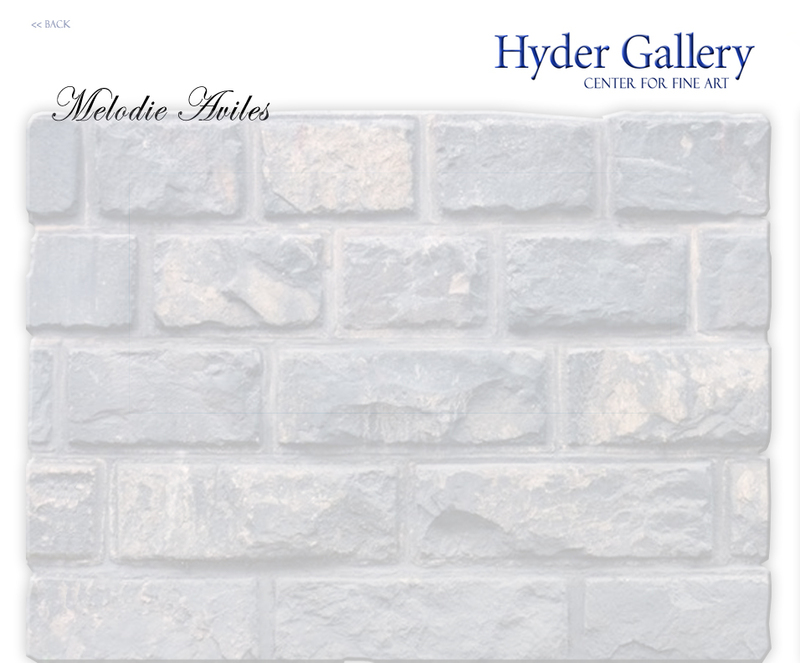 "Melodie is a little artistic genius who distinguishes and truly respects artistic talent. ", said Andrew Hyder, Curator - Hyder Gallery Center for Fine Art. "This is incredible for someone so young. She mastered our course in record time, and we keep inventing new things to challenge her. Melodie is full of original ideas and in many ways has talents beyond our teachers." Framed digital print on fine canvas showing intricate strokes of this young artist. You know “ROSE” by her distinct bangs. There are others like Joy, Sadness, Anger, Disgust, Sleepy, and Silliness. 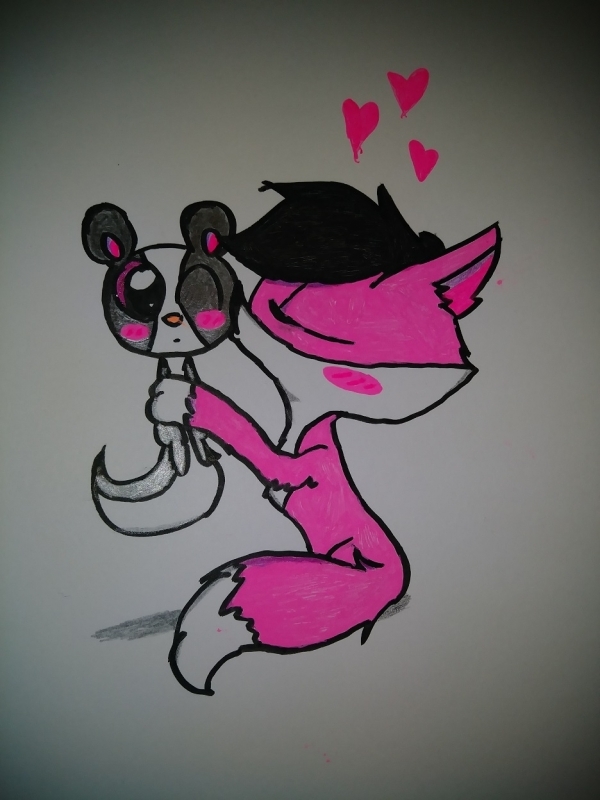 “ROSE of Love” doesn’t like anyone who is mean but wants to spread love to the world. She has her little pet skunk she named “Ollie”. He was abandoned by a mean family and “ROSE of Love” took him in. Melodie Aviles Professional Artist Child prodigy Melodie Aviles is a Hispanic fine art artist who is quick to say, "I have autism but autism does not have me." Born in Orlando, Florida, the Aviles family noticed her having a seizure, and regressive speech. At two years old, the autism diagnosis was difficult and the outlook was grim. The Aviles family gave up everything to invest into the best care for her. Through years of therapy, training, and family love, she surpassed all expectations. Much of Aviles’ success with the disorder has now been attributed to the extensive use of visual art as a form of therapy. Aviles trained at the The Tridas Center (Tampa FL), Dr. Nancy Carnevale, Ace Charter School (Lakeland FL), Beckman & Associates (Maitland FL) and The Hyder Gallery Center for Fine Art (Lake Mary, Florida). Aviles was particularly inspired by world class animators and was captivated by the story of Stephen Wiltshire who astonished the world with his art in spite of his challenges with autism. At twelve years of age, Aviles knows that she is different and copes with her challenges with the most inspiring fine art. Now collected throughout the world, Aviles’ work intentionally represents the emotions of her characters through their large animated style eyes. Aviles’ work has become very popular due to their availability through limited editions, gallery representation, and a groundswell of support via social media. Aviles understands that autistic people are usually misunderstood and she wants to make sure that those who experience her art know exactly how her spirited characters feel - through the eyes. "Melodie is a little artistic genius who distinguishes and truly respects artistic talent. ", said Andrew Hyder, Curator - Hyder Gallery Center for Fine Art. "This is incredible for someone so young. She mastered our course in record time, and we keep inventing new things to challenge her. Melodie is full of original ideas and in many ways has talents beyond our teachers."